It's official. Not everyone in Illinois will be running for State Attorney General next year. 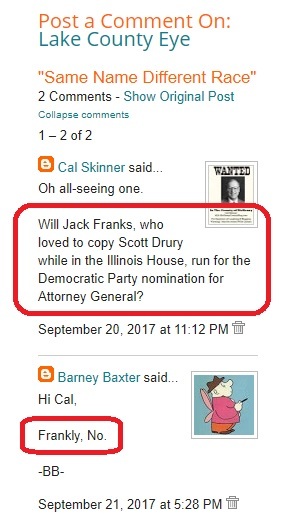 That's because Jack Franks will not be running for Attorney General. No surprise, your LakeCountyEye predicted the same all the way back on September 21, three weeks ago. It is not known if the news has made it to McHenry County yet.